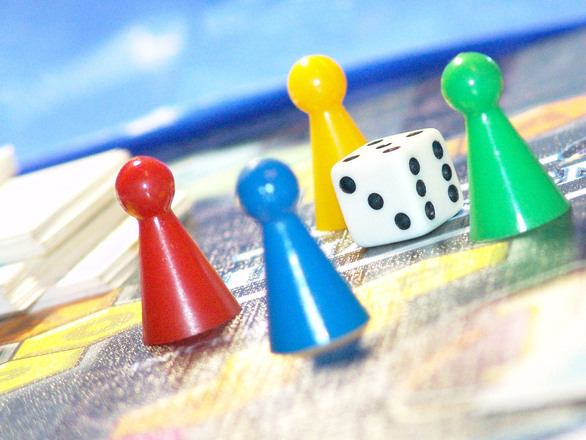 It’s no secret that I think that community game nights are an amazing way for churches to get out of their doors and connect with their communities. Even better, they take almost no time, no money, and no expertise to get going! 1) You don’t need to be a geek to play board games. Don’t worry if terms like “deck-building mechanics” or “meeple” sound as foreign to you as “chancel” or “liturgy” might sound to a newcomer to your church. Gamers love to teach. If you’re willing to learn, people will delight in helping you grow into your geekdom. 2) Don’t start a Game Night if you can just join one. Why spend the money or take all the energy to meet gamers if there’s already a meetup going on? Check your local gaming store or visit meetup.com to see if there’s a gathering in your area. When you visit, you’ll be in a location where people are already comfortable and open to newcomers. 3) If you start a game night, make it as un-churchy as possible. Sometimes starting your own game night is the best option. If you do so, DO NOT start it in your church building. Find a spot in the community such as a cafe, a restaurant with a back room, or your local library and hold it there. Start with a couple friends, advertise with a few posters, put up an event on meetup.com, and be patient as the gathering grows. And, for the love of Jesus, DO NOT play Christian games at it. There is nothing more obnoxious and insidery than a bunch of Christians starting a game night which requires insider knowledge (and allegiance to a belief system) in order to play. 4) Community will just happen. Don’t feel like you need to invite people to your church, share about your faith, or advertise your ministries at game night. Just make friends, share authentically, and the opportunities will to form spiritual community with people will naturally emerge.